1 Peter 2:24, who Himself bore our sins in His own body on the tree, that we, having died to sins, might live for righteousness—by whose stripes you were healed. Have you ever noticed how hard it is to communicate with people who will not give you their attention? Distracted people almost seem weird. They do not respond!! And, the past will not continue to repeat itself in the life of a preoccupied, distracted person. What are you paying attention too? Every person has something they wish they could forget. There is a principle to learn here. Forgetting isn’t a memory lapse; it is a memory release! It’s letting go of the things that hold us back from receiving all that God has for us (even His forgiveness). Like carbon dioxide the body can no longer use, exhale it and let it go out of your spirit. Philippians 3:13-15, Brethren, I do not count myself to have apprehended; but one thing I do, forgetting those things which are behind and reaching forward to those things which are ahead, 14 I press toward the goal for the prize of the upward call of God in Christ Jesus. 15 Therefore let us, as many as are mature, have this mind; and if in anything you think otherwise, God will reveal even this to you. 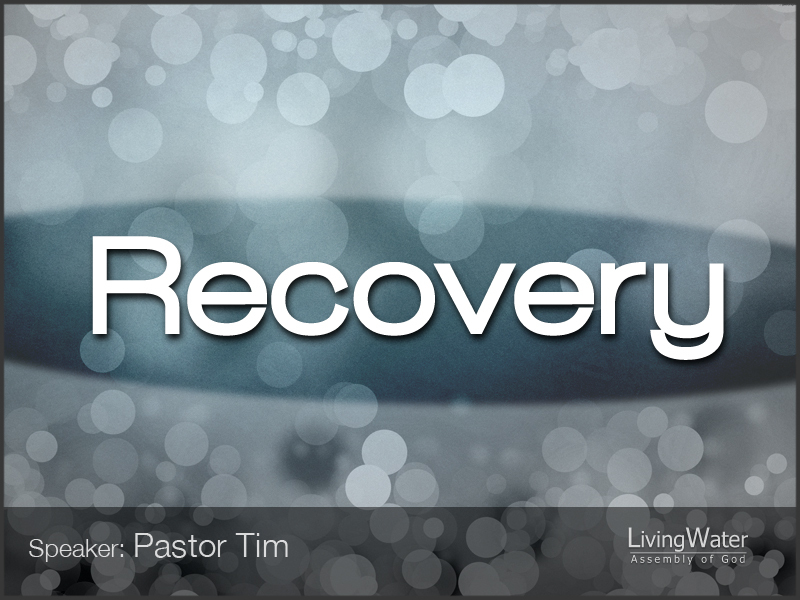 I pray that, the Holy Spirit would roll us into the recovery room where we can fully realize that the trauma is over. Christ paid the price, the whole amount owed, not a partial payment. Now He was teaching in one of the synagogues on the Sabbath. 11 And behold, there was a woman who had a spirit of infirmity eighteen years, and was bent over and could in no way raise herself up. 12 But when Jesus saw her, He called her to Him and said to her, “Woman, you are loosed from your infirmity.” 13 And He laid His hands on her, and immediately she was made straight, and glorified God. She was able to stand upright. The crippling condition of her infirmity was removed by the God who cares, sees and calls the infirmity to the dispensary of healing and deliverance. We can call upon the Lord even in the middle of the night. Like a 24-hour medical center, we can reach Him anytime. He is touched by the feeling of our infirmities. Hebrews 4:15, For we do not have a High Priest who cannot sympathize with our weaknesses, but was in all points tempted as we are, yet without sin. In the name of our High Priest, Jesus Christ, I curse the infirmity that has bowed the backs of God’s people. Hebrews 12:1-3, Therefore we also, since we are surrounded by so great a cloud of witnesses, let us lay aside every weight, and the sin which so easily ensnares us, and let us run with endurance the race that is set before us, 2 looking unto Jesus, the author and finisher of our faith, who for the joy that was set before Him endured the cross, despising the shame, and has sat down at the right hand of the throne of God.